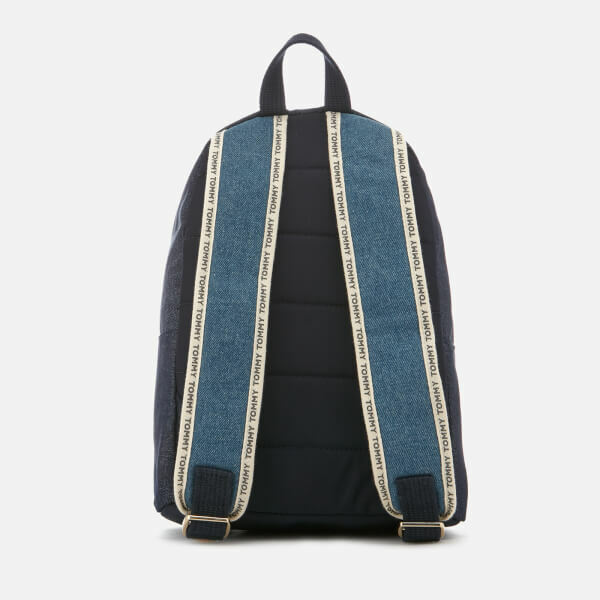 Constructed from various shades of cotton canvas, the ‘Logo Tape’ mini backpack from Tommy Hilfiger features a zip-around fastening that opens to a spacious, fabric-lined interior compartment. 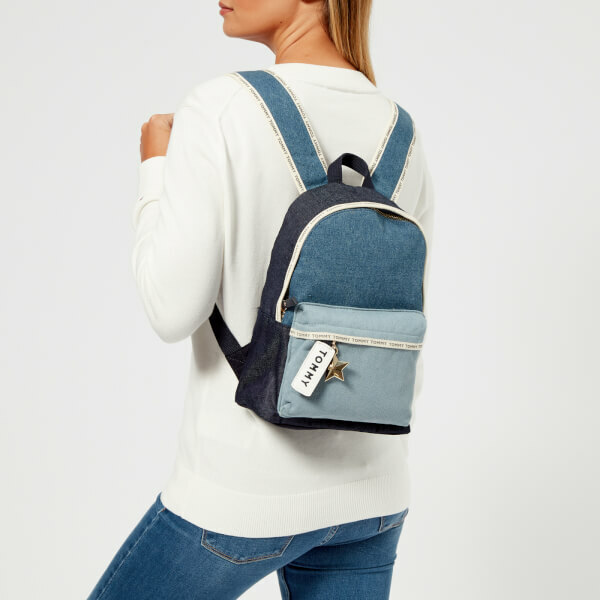 Within, the bag offers a large zip pocket for keeping smaller valuables secured and easily accessible. 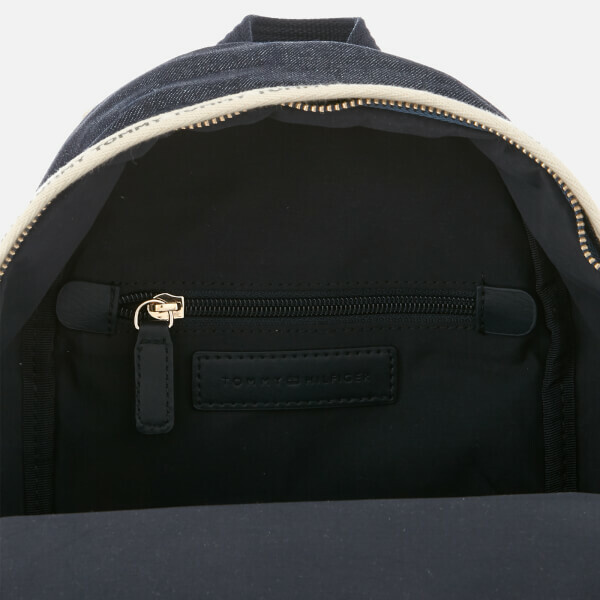 An exterior pocket at the front provides additional storage. 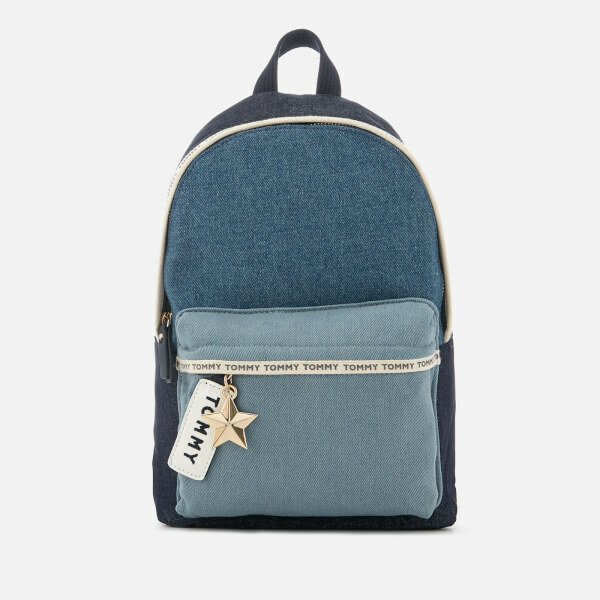 Transported via twin adjustable shoulder straps with branded contrast piping trims throughout, the casual rucksack offers a cushioned back for optimal comfort and is detailed with subtle gold-tone hardware, an embroidered ‘Tommy’ tag and a geometric star-shaped charm.